Want to make these cute paper craft? So easy, just download the paper craft template and you may start to make it anytime you want. Very cute! my children love these. Thanks for the link. These are fabulous! Really fun projects! aww these are so fun...I love angry birds..
Big thanks for becoming my follower and leaving me such a nice comment. Hiya! Thanks for dropping by my blog and leaving a comment. 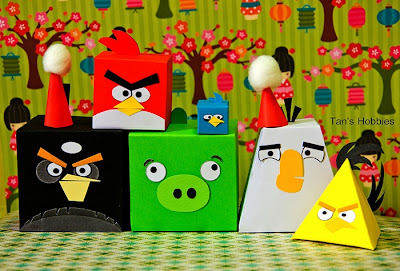 I think these angry bird boxes are totally adorable! I'm a new follower..